I have been a little bit preoccupied with cleaning my closet and making some extra cash lately. Earlier this year, I started going hard on Poshmark. I stopped doing all other social media and put my time into snapping photos, writing descriptions, listing and sharing on Poshmark. It's such a temperamental and needy app. I burned out and I decided to hop back on to old faithful -- eBay. That set in motion a streak of sales that's kept me on the resell train for the past few months. The things that are selling best for me are items I've already had in my closet. They weren't bought specifically to sell. Like most thrifters, I accumulate a lot of stuff. It's hard to leave a good find behind. I always think I can find someone who will want it. eBay and Poshmark are helping me find those people. I can wipe away the tears of losing some of my favorite thrift treasures with the money I have in hand. Here's a peek at some of my recent sales. These are the one that I found most surprising. It never really left my closet since the initial try on. This is one of those items that I surely undervalued. It sold within an hour of listing. If you have 80s spandex in your closet doing nothing take it to eBay. They're a hot item. Shoes can be a hard sale. A lot of people aren't into used shoes. 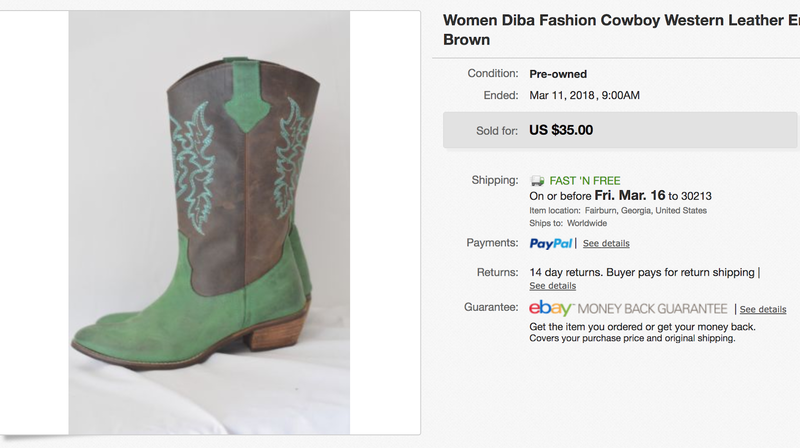 I received the Diba boots to review a few years ago. They were starting to collect dust so I dusted them off and listed them on eBay. They're still a great boot. I think they look better now with a little wear than when I first put them on. It turns out cowboy boots are a big seller. I think the interesting color combination helped them stand out from the rest. 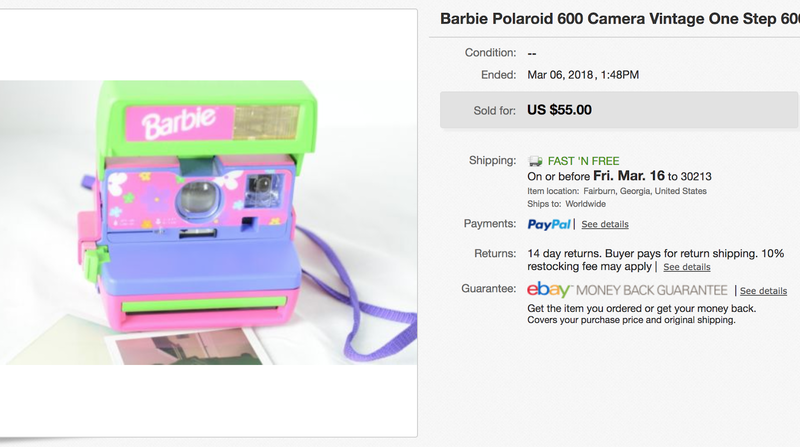 I found the Barbie camera in a Salvation Army when I road tripped to Unclaimed Baggage in Alabama. Not only is Unclaimed Bag full of treasures so are the surrounding thrift stores. I bought film for it and took one picture two years ago. Tucked it away and forgot about it until I researched what previous ones sold for. This jacket was another fast sell and likely undervalued. It's old Abercrombie & Fitch from when they were more of a hunting/ outdoors kind of store. Definitely not the teen fast fashion store it is today. 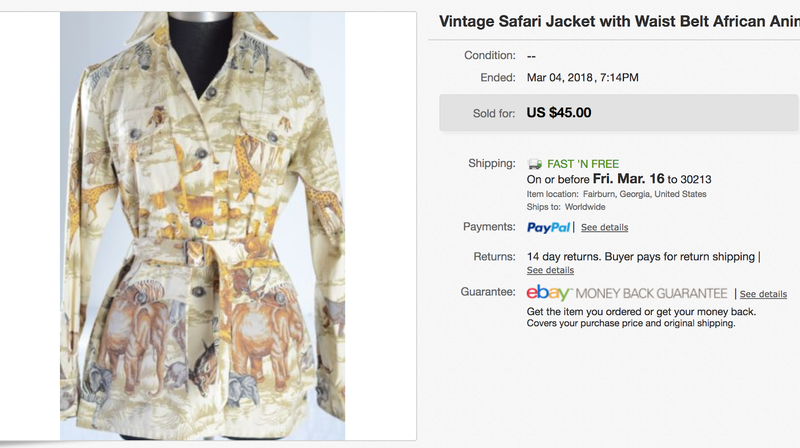 I've never seen another one like it with all of the safari animal on it. That probably should have tipped me to set a higher price. I love vintage deadstock. I like seeing the original price tags and researching the history of the brand online. 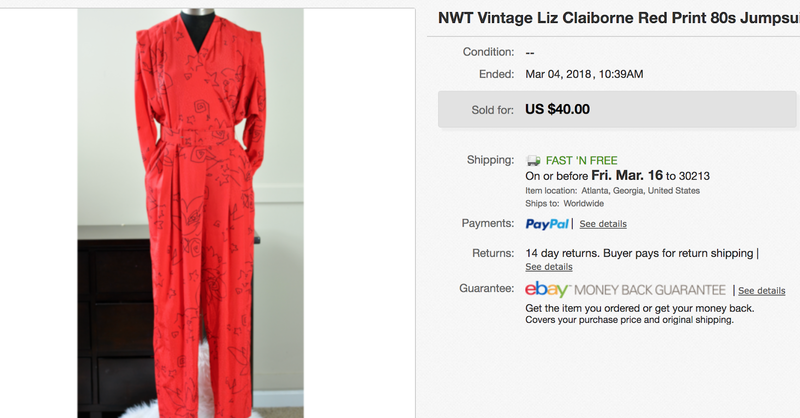 Sometimes I cut the tags to wear and other times it's tucked into a hallway closet like this Liz Claiborne jumpsuit. I was surprised that it received some attention and likes on Poshmark. 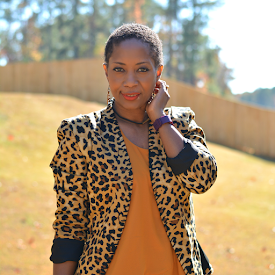 Poshmark is more about trendier current fashion. It didn't last long when I put it in my eBay closet. It's fun realizing that your oddball sense of fashion is also in line with someone else's aesthetic. The leather dress was one of those items I was really sad to see go. I never even wore it. I thought the higher price on Poshmark would deter buyers and then I would have a little extra time to decide if it was a keeper or not. I did not set my price high enough! Someone in my hometown has it now. I hope it's having fun strutting in Chicago. Again, shiny spandex is a winner on eBay. I didn't find the catsuit and the leggings at the same thrift store but they were both the same brand. When the catsuit went I pulled out the leggings. I've actually worn them a few times. The quality is so much better than the leggings of today. They have a nice sheen and attitude to them. They sold really fast too. I remember finding these Ferragamos at a hoarder house estate sale. I bought three of the hundreds of new in box pairs in the house. These were the only ones that didn't sell all those years ago so I kept them and wore them. I don't wear them enough to warrant keeping them around so I listed them. I wasn't expecting much action given the lighter color but it turns out they were someone's jam! Through selling, I've come to fall in love with thrifting all over again. There isn't much I really need for myself and I really am trying to scale back in the new year. Reselling gives purpose to my shopping. I love helping people find their "it" and money is always a good thing to have. Do you resell? Any surprising sales?